The third annual Jared Lewis Quirk Memorial speedball tournament ended with a blow-out on Saturday, June 10. God’s Children faced off against the Thunder Donkeys in the final game and won 8-2. Thunder Donkeys wore white and God’s Children wore red. 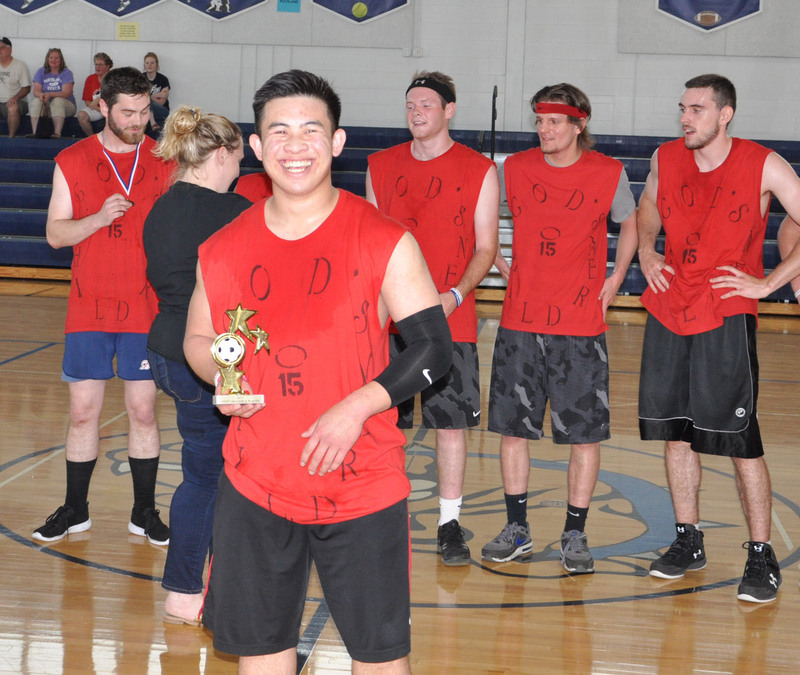 The MVP of the tournament was Justin Nugyen of God’s Children. Even more impressive than the six goal victory margin is the fact that the tournament raised $4,280 for the Jared Lewis Quirk “Good Guy” Memorial Scholarship. Fifteen teams competed in the three day event. Many people were recognized this past Wednesday at the RHS Hall of Fame Induction and the Underclassmen Awards Banquet. The event took place at Emerald Hall with food being served at 6pm and awards starting around 7:15. The night began with a few words from RHS principal Dr. John Harrison as well as vice principal Ms. Kathleen Paulding. Ms. Paulding gave the introductions to the three Hall of Fame Inductees, who then talked a bit about their work and gave advice to the students attending the banquet. The Hall of Fame Inductees include: Robin Paulding McGowan, Class of 1979; Denise Wallace Spriggs, Class of 1979 and Charles Tetzlaff, Class of 1991. Next, Dr. Harrison announced several special awards which were then followed by the academic awards and honor roll mentions. Ms. Paulding, along with Mr. Damon, and individual department heads and teachers, presented the academic achievement awards. All in all, the evening was filled with fun, friends, and giving recognition well deserved to the students and inductees. Thank you to the Rockland Hall of Fame Committee for making this night possible and all the teachers involved. Last year, 20 academic letters were awarded to students in the Class of 2018. Congratulations to these students for their continued academic success. The following is a link to all the pictures of the inductees and the student award recipients. Time to Vote for your 2017-2018 SGC Big Five! Tomorrow afternoon at 3:30 in the RHS cafeteria, all SGC members and all who want to get involved in Rockland’s Student Government will have the opportunity to vote on the upcoming year’s Big Five positions. Each candidate for each position will have to give a speech in hopes to receive your vote. Once all the speeches are done, all who attend will get to vote for each student they see fit for each position. 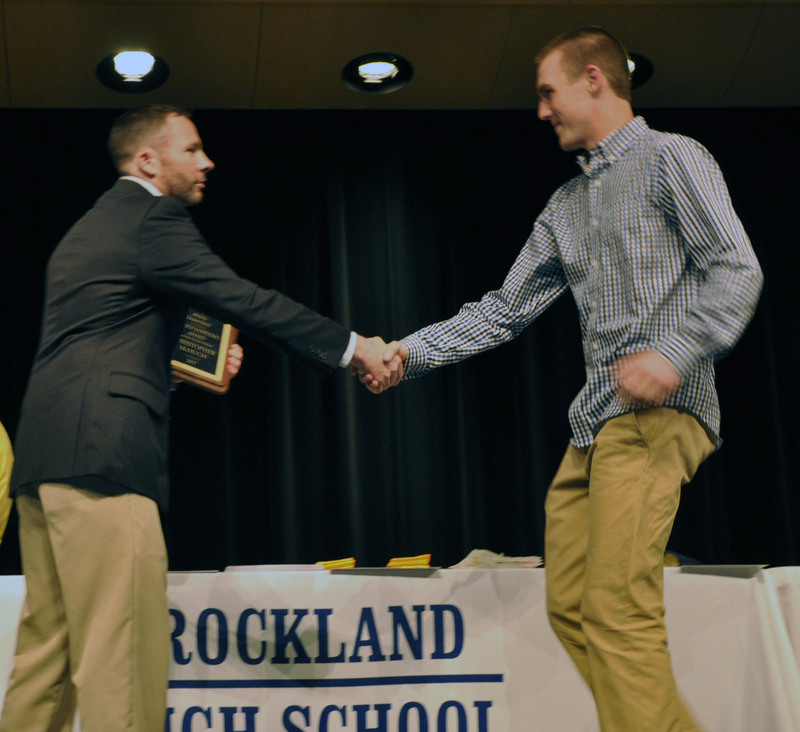 Matt Dunn receives the prestigious silver bowl for earning eight varsity letters in four year of athletics at RHS. 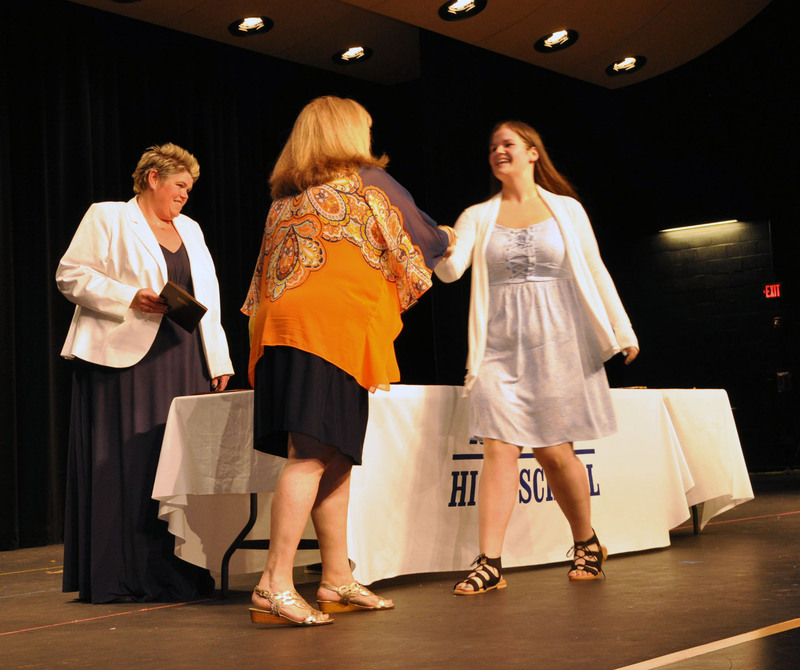 The annual Senior Awards night took place on Thursday, June 1. 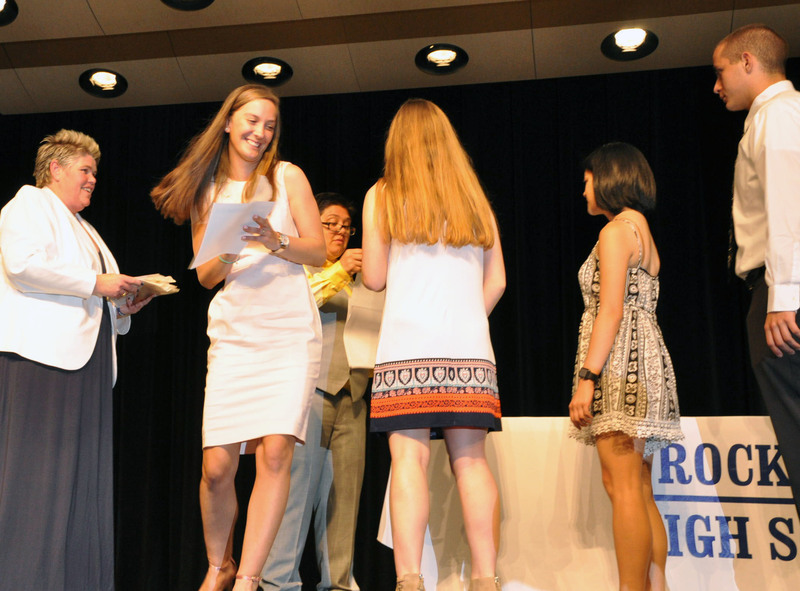 This year the Athletic Awards were also given along with the traditional Baccalaureate and Scholarship Awards. The awards part of the evening began with Athletic Director Gary Graziano recognizing recipients of Senior Athletic Achievement Awards. Old Colony Post 1788’s and United States Army veteran, Jeffrey Najarian presents Brian McCullogh and Renata Batista with cords signifying their entering the military after graduation. Military Awards: Three seniors who are going directly into the military after graduation were recognized. Jeffrey Najarian of Old Colony Post 1788 presented the awards to Brian McCullough, United States Marines, and Renata Batista, United States Army. The third senior is Jessica Cameron, United States Navy. The Art Department gave certificates of achievement to artists Hannah Millen, Colleen Burke and Alexa Leduc. Journalism Awards were given to Veritas editors, <strong>Sophie McLellan and Sean Vo</strong>. Sports Editor and writer, <strong>Joe Taft</strong> received a Special Achievement Award from the New England Scholastic Press Association. Spellman Oratorical Scholarship Awards: Jurnee Dunn, Jessica Lutts, Sophie McLellan, Evan Murphy, Emily Delaney, Luana Lima, Michael Belmonte and Lauren Zaremba. Academic Achievement Awards were presented by teachers and department heads in each department. The Art Department presented their Academic Achievement awards to Shawn Ward and Hannah Millen. The Communication and Digital Media Department presented their award to Sean Vo. The English Department recognized Shannon Lindahl. 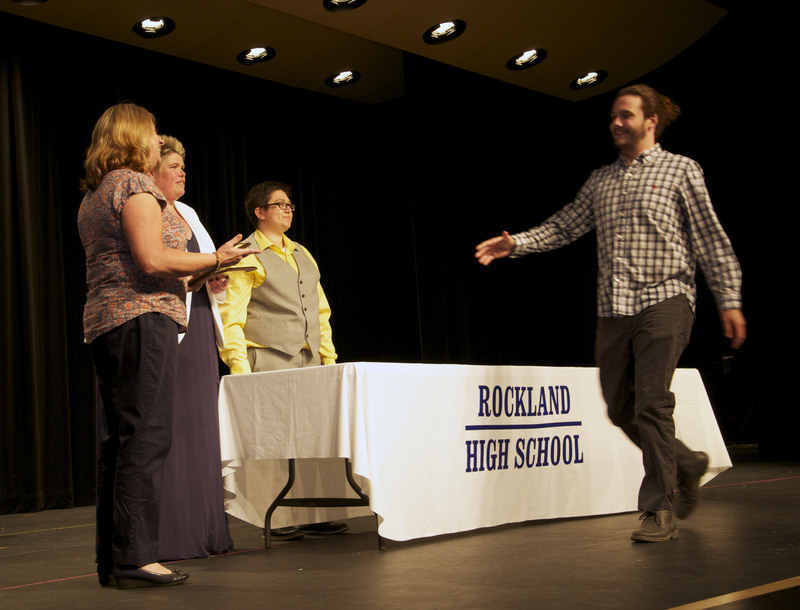 The Family and Consumer Science Department presented their award to Adam Royle. The Health Department presented their awards to Jakigh Marcelin and Rachel Buker. The Social Science/History Department recognized Noelle Atkins and Sydney Wells as their Academic Achievement winners. The Mathematics Department recognized Luana Lima. The Physical Education Department presented their award to Cornell McWilliams II. The Pre-Engineering and Robotics Department recognized Christopher McHugh and Brian McLaughlin. The Science Department presented their award to Kaylee Patten and Kelsey Willett. Tim Kane received an award as the top academic achiever in the Technical Education department. The Technical Education department presented their award to Timothy Kane and James Sheehan. The World Language Department recognized two students. 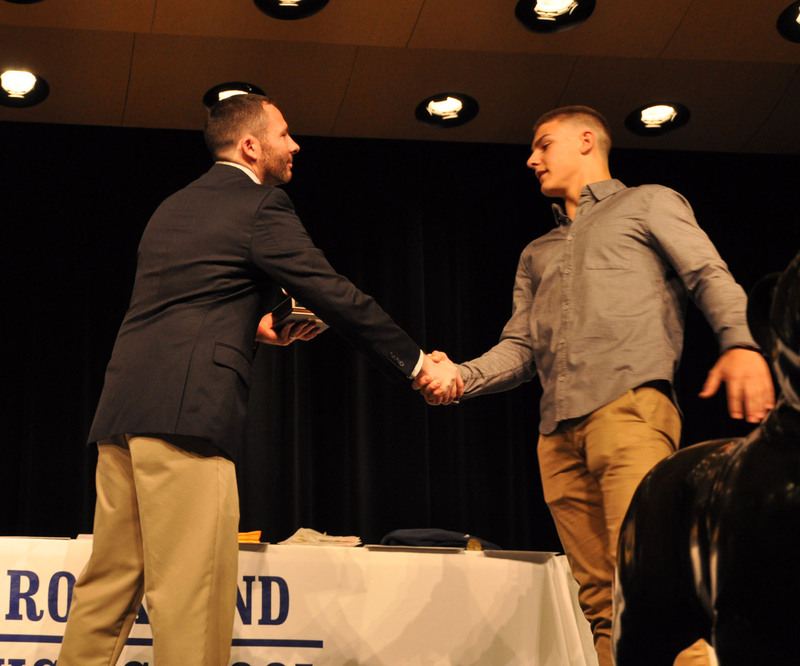 In French, Leonard Field III received the Academic Achievement Award. The Spanish department presented their award to Lauren Zaremba. Several seniors were Multi-Award winners. 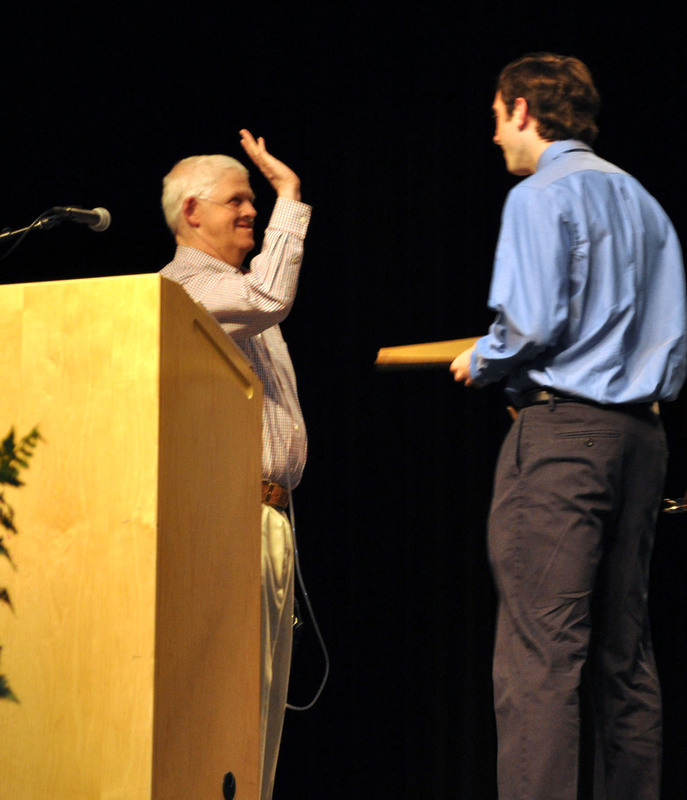 Michael Belmonte Jr. was recognized by both the Computer Science and Music Departments. Jessica Lutts was recognized by the English and Mathematics Department. Emily Beatrice was recognized by the Family and Consumer Science Department and Physical Education Department. The Communication/Digital Media and Music Departments recognized Sophie McLellan. The final “award” was the dedication of the yearbook to English teacher, Amanda McDonough and to Jimmy Cahill. 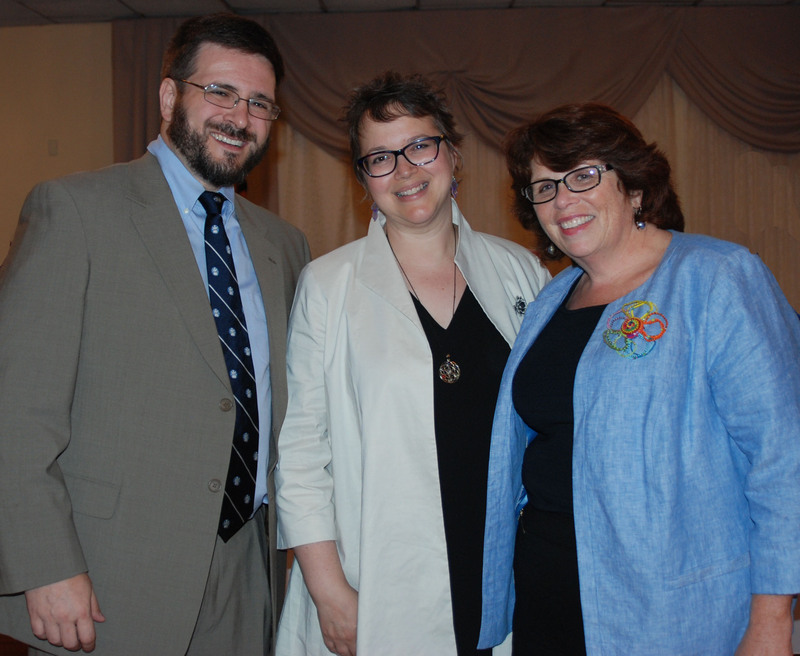 Matt Dunn, Mike McPeck and Megan Saucier made the presentations. Amanda McDonough receives the yearbook from Megan Saucier. Matt Dunn read the yearbook dedication to her. 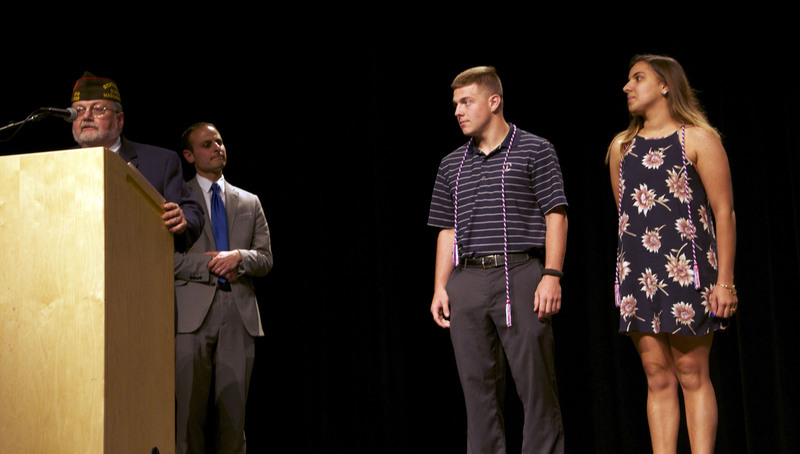 Kendra Donovan presents National Honor Society stole to Nicole Atkins while Sam Hoyo and John Harrison look on. On last Friday, June 2, at 7 pm at the Veterans’ Memorial Stadium, the Class of 2017 took their final walks across the field to grab their diplomas and throw their caps in their final step to completing their high school education.The rain held off long enough for one of the last groups born in the 1900s to graduate. The senior gift presented by 2017 Vice President, Colleen McCarthy was passed down to the junior class President, Hannah Boben. It was a bronze bulldog, a symbol of RHS representing each graduating class. During the ceremony, the RHS Band played “German Dance” by, Ludwig Van Beethoven, and the Recessional “Pomp and Circumstance”. At the graduation, there were several speakers who spoke about “Bulldog Pride”, how the graduating class can make a change in the world, and the changing world they’re being sent off to. These included 2016-2017 Class President, Kaylee Patten, Valedictorian, Luana Lima, freshman biology teacher, Julia DiCanzio, and RPS Superintendent, Dr. Allan Cron. 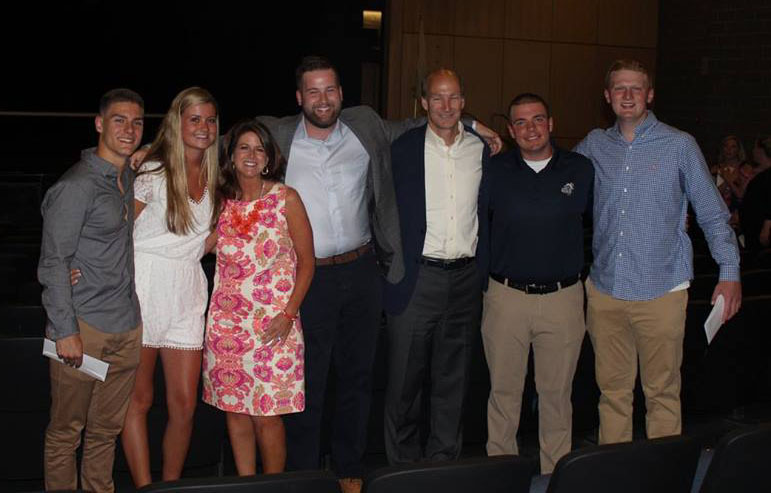 Principal Dr. John Harrison announced the Rockland Citizens’ Scholarship Foundation Award winners, and prior to the presentation of diplomas, School Committee Vice Chairman, Richard Phelps said a few words about Bulldog Pride. While Dr. Harrison called the graduates’ names and spoke about their plans, Mr. Phelps, Vice Principal of RHS, Kathleen Paulding, Guidance Director Margaret Black, and Senior Class Advisor, Samantha Hoyo presented the seniors with their diplomas and handshakes. The following links will take you to our photo galleries: Pre-Graduation and the Graduation Ceremony. The following is a photo gallery that covers the Class of 2017’s senior year as photographed by Veritas photographers. Come support the class of 2017 one last time at their graduation tonight in the Veterans’ Memorial Stadium at 7 pm. The Veritas News is produced by the Journalism class. In the control room were Jayden Libby, producer, Sammi Nachtman, graphics, Jaylen Haltiwanger, audio, Grace LaPlante , teleprompter, and Brittany Keefe, tape feeder. On camera were Jake Lauria, Liam Lenihan, and Juliana Smith. Anchors were Jasmin Morse and Julian Tarpey.